A dark drama centered on a 14-year-old boy and his neo-Nazi dad, who are both outcasts in their suburban town. Antonio is a man who was born with unusually large incisors; his freakishly huge teeth make him an outcast from his peers as a child, and he attempts more than once to break off the offending choppers. Several stories unfold simultaneously over three days on the Mediterranean island of Ibiza. Many communities were founded to improve the world in the second half of the last century. India with its enormous historic potential of celebrated spirituality and a generous attitude to other life forms, became the home to many of these communes seeking meaning. 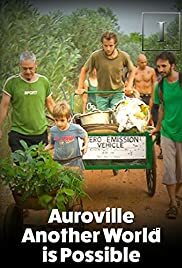 The 2,200 members of the 'Auroville' community in the southern Indian state of Tamil Nadu have turned their back on the capitalist way.